Hot ringtones on Audiko.net! 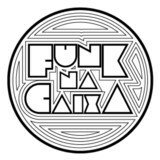 We offer you to download a free Funk na Caixa ringtones for your iPhone or mobile. Scope out your favorite segment from your favorite piece of music - Chega - Carlos e Maffalda, Plaque de 100 - Mc Guime, Bethoven sinfonia Beat, or any other track. You are free to gain your ringtone both in the MP3 and m4a formats, compatible with both mobile phones and iPhones. Just select a track, and choose free Funk na Caixa ringtones download option.